Applications: These metal cutting wheels are for use on latest generation hand held petrol saws such as Stihl TS410, TS420, TS460, TS700 or Makita DPC6410 and Husqvarna K970, which are becoming more powerful due to higher speeds. They suit saws with a peripheral speed of up to 100m/s. (Standard metal cutting wheels with red stripes are normally rated for 80m/s). 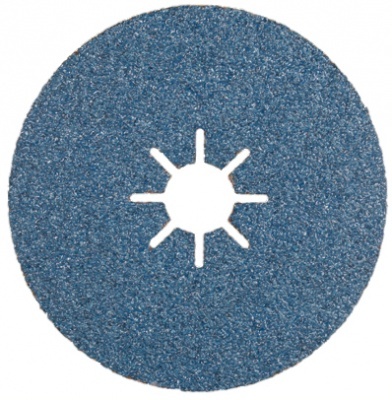 For use on metal, such as RSJs, scrap cars, scaffolding and re-bar. The 300mm x 20mm discs fit Stihl and Makita saws. The 355x25.4mm size fits the Husqvarna K970, K1260 and Stihl variants with 14in guards and 25.4mm arbour mountings. Compliant with EN12413, marked accordingly. Extra reinforced with high strength glass fibre. Standard flat profile (Type 41). Suitable for peripheral speeds of 100m/s (ie most hand held petrol saws). Max speeds: 305mm (12") 6,300rpm, 355mm (14") 5,400rpm. Safety: Always wear full protective gear when using these saws. Comply with instructions supplied with the saw and on the discs. Stock: Sorry, we got caught out and ran out of stock of these wheels. They will be restocked shortly. 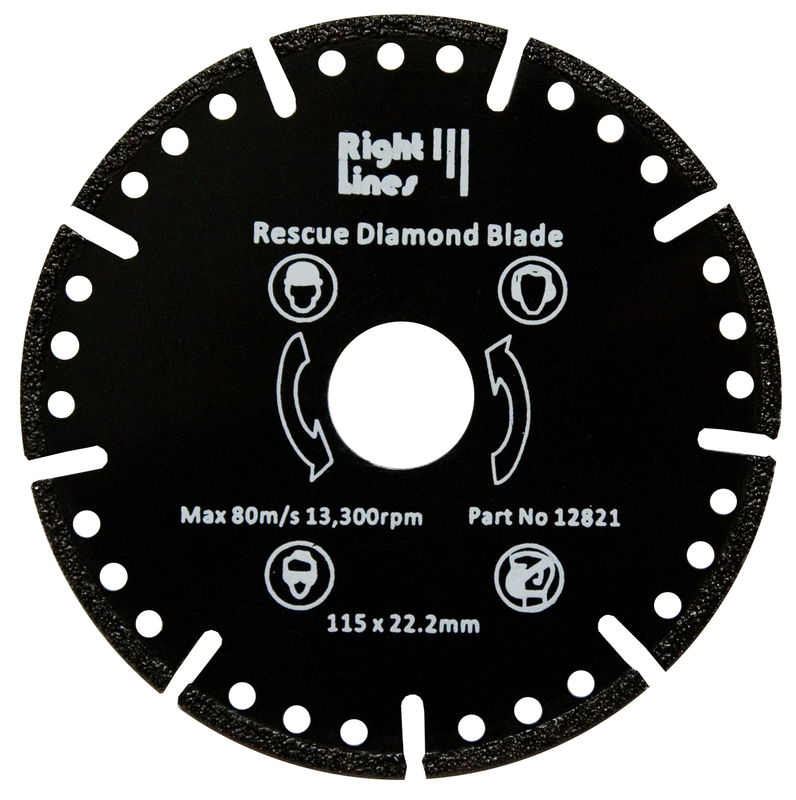 Rescue blades are no longer just for fire and rescue crews. 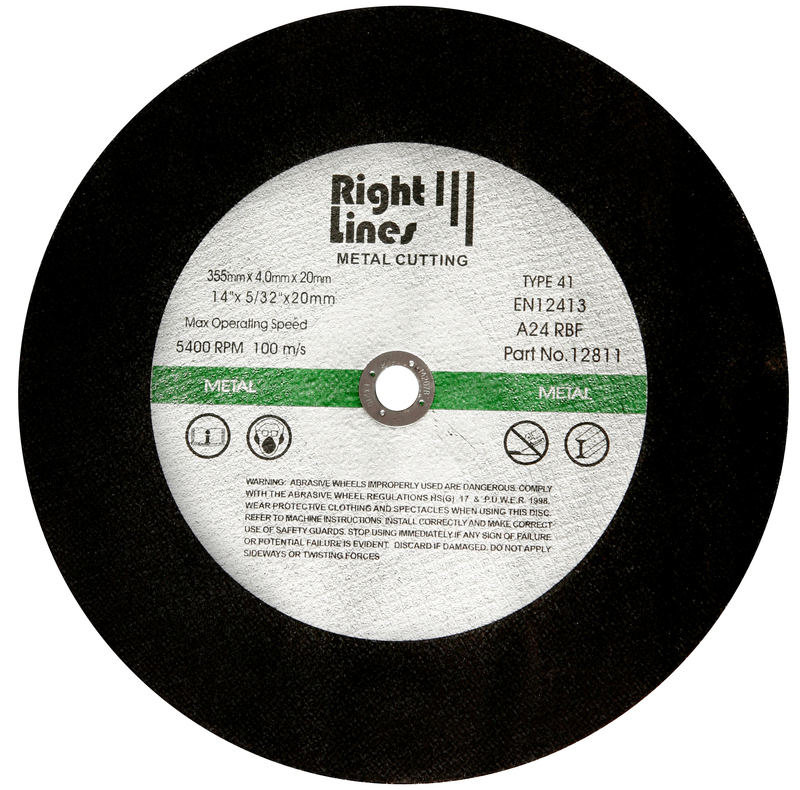 These blades cut almost anything and are an ideal tool for most trade professionals with things to cut. 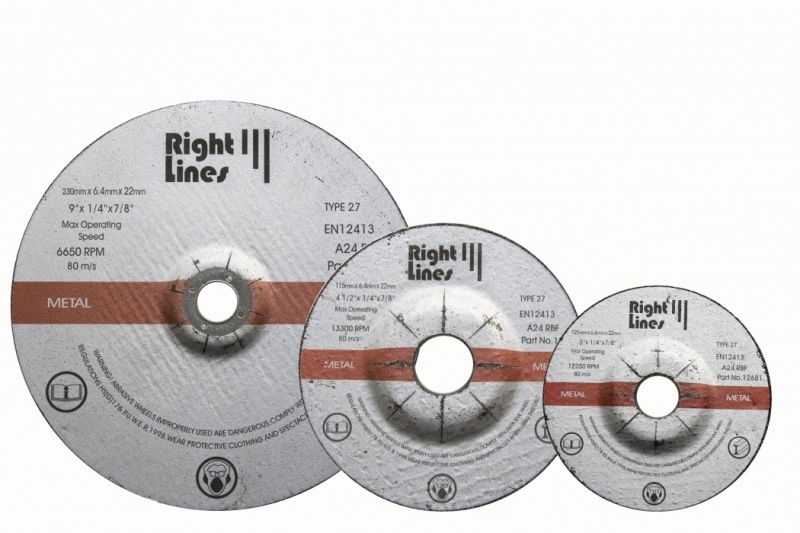 Zirconium fibre discs are ideal for all steels including stainless. These are by far our most popular selection.